A Boogie Wit Da Hoodie is enjoying the success of Hoodie SZN which arrived towards the end of December. The rapper's sophomore album is undoubtedly his most commercially successful album to date as it managed to secure the number one spot on the Billboard charts last week. The interesting part is that A Boogie broke the record for lowest album sales for a number one album. Although music is predominantly consumed by streaming, the rapper nabs the number one spot on the chart for a second week in a row. 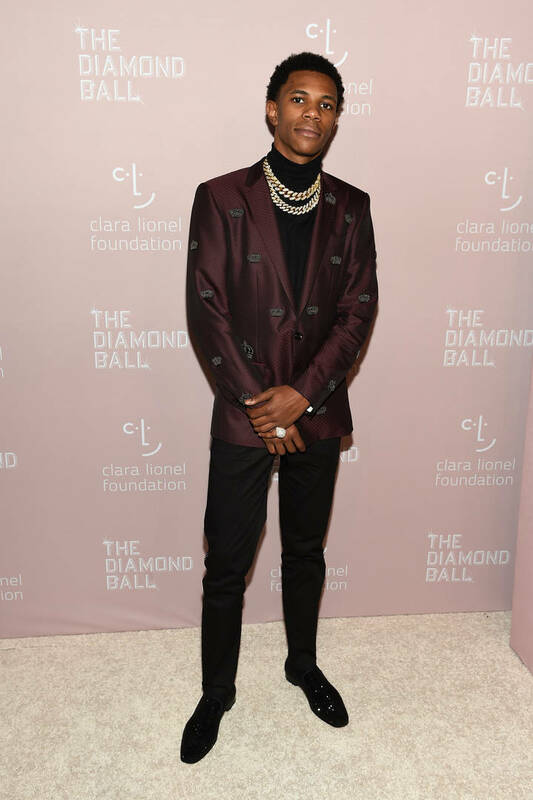 A Boogie Wit Da Hoodie spends a second week at the top of the Billboard 200 while reaching a new weekly album-sale low for a chart-topping album. According to Billboard, this marks the eighth week in a row that a hip-hop album has held down the top of the chart which is the longest-for the genre since Drake spent the same amount of time at the top of the chart with Views. The majority of the 55K it moved this week is driven by SEA units. TEA units equal 1000 units while album sales fall short of 1000 units. A Boogie may have hit a record-low for weekly album sales, but it doesn't seem to be bothering him too much. During his interview with the Breakfast Club this morning, the rapper reminded the hosts how much streaming is driving the industry right now. Peep that here.